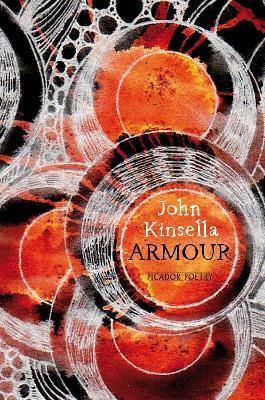 With Armour, the great Australian poet John Kinsella has written his most spiritual work to date - and his most politically engaged. The world in which these poems unfold is strangely poised between the material and the immaterial, and everything which enters it - kestrel and fox, moth and almond - does so illuminated by its own vivid presence: the impression is less a poet honouring his subjects than uncannily inhabiting them. Elsewhere we find a poetry of lyric protest, as Kinsella scrutinizes the equivocal place of the human within this natural landscape, both as tenant and self-appointed steward. Armour is a beautifully various work, one of sharp ecological and social critique - but also one of meticulous invocation and quiet astonishment, whose atmosphere will haunt the reader long after they close the book. John Kinsella is the author of over thirty books. He is a Fellow of Churchill College, Cambridge University. In 2007 he received the Fellowship of Australian Writers Christopher Brennan Award for lifetime achievement in poetry.